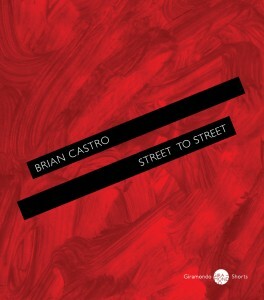 Brian Castro’s latest work, Street to Street, is based on the life of Australian poet, Christopher Brennan. No, not quite – it’s more about the life of Brennan’s biographer, Brendan Costa, and the ways that this man’s life paralleled with Brennan’s. At the start of the book, Brennan and Costa don’t have heaps in common – they’re Australian men with academic flair. Throughout the story, however, Costa’s obsession with Brennan’s life pulls the two men’s stories together. Or is it the similarities between their stories that fuel Costa’s obsession? Through Costa’s failures and increasing frustration with the institutional rigidity of academia, Costa and Brennan come to play out quite similar lives. While Brennan’s life is separated from Costa’s by some eighty years, Costa feels such an affinity with the older man that he sets his mind (consciously or unconsciously, or perhaps by chance) to immitating Brennan’s life. His eventual mirroring of the man’s life – his failures and dysfunctions, an intentional nose-dive – is something of a homage to a fiercely creative man. Is immitation the best way to honour people we admire? For Costa, yes. There’s some lovely Borgesian stuff in Street to Street, where Costa’s single-minded immitation of Brennan reminded me of Borges’ Don Quixote story. In it, an author tries to recreate Don Quixote by living his life exactly as Cervantes had lived. Both this and Brian Castro here are asking: is greatness conditional? If we can recreate the right conditions, then is greatness a given, or is it more individual than that? Street to Street seems to carry some judgement within it, reflecting pretty harshly on academia and creativity in general. Brian Castro does a beautiful job of considering the self-destructive impulses of creative people, but seems to take these as a given. Perhaps they are. The book also heavily criticizes institutions such as universities, and notions like “Australian literature”. Brennan and Costa seem representative of all creative types, where any ambition within their field really translates to an ambition to fail. There’s so much happening in this slender volume, that it seems to prove impossible to write a very coherent review, or do the enormity of Castro’s mission with this work justice – but I have done my best. To really get your head around it, you’ll need to give it a look-in yourself. Just keep in mind, this one really requires an open and receptive reader. If that’s you, then this book will pay off. As mentioned, Street to Street is a small book, and one that’s not afraid to call itself a novella. While it’s being suggested that digital reading primes the market for renewed interest in novellas, it’s really nice to see Giramondo doing their bit to continue the form in print. In true Giramondo style, the physical thing is a joy to hold, and a rewarding challenge to read. Hello Sam, I’ve just finished reading this today and now that I’ve read your excellent review I wish I’d re-read some Borges first! I got the pingback from your Street to Street review… Nice work, you’ve well and truly picked the book apart, and done such a complex work justice. *chuckle* He’s on my To-Read list, I was reminded about him when I read Varamo (another Giramondo Short) but oh dear! the more I read, the more books I add to my list! I know that feeling – it’s so impossible! By choosing to read anything, you’re turning down something else. What I love about the litblog community is that it helps one sort. Some reviews introduce a book that simply must be read now or soon, others are books that must be read but can wait a while, and yet others, very detailed ones, can substitute for reading the book for the time being. (Others warn you not to bother at all, though they usually put it more politely than that LOL). So true! Sorting well is a real skill. And collecting a good selection of lit blogs that you trust is vital in that process. Nice review. Pierre Menard is one of my favourite Borges stories – if this is anything like that, I must read it. as I probably would have had less understanding of the poet.